As a newspaper reporter, Christi Daugherty ​began covering murders at the age of 22. She worked as a journalist for years in cities including Savannah, Baton Rouge, and New Orleans. 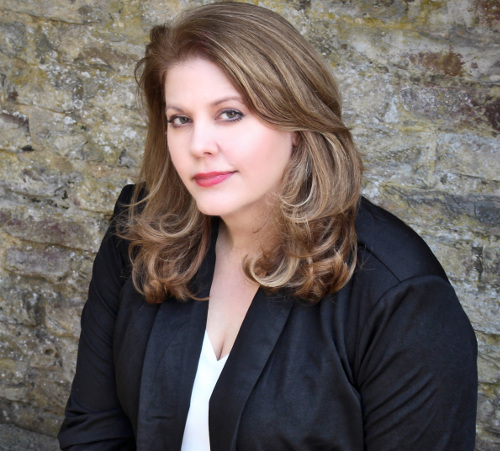 Her work eventually took her to England, where she wrote the international bestselling Night School series of thrillers for young adults under the name CJ Daugherty. The Echo Killing is her first adult novel, and is the first book in the Harper McClain series. Book 2 will be released in 2019. Check out her website here and Twitter. A city of antebellum architecture, picturesque parks, and cobblestone streets, Savannah moves at a graceful pace. But for Harper McClain, the timeless beauty and culture that distinguishes her home’s Southern heritage vanishes during the dark and dangerous nights. She wouldn’t have it any other way. Not even finding her mother brutally murdered in their home when she was twelve has made her love Savannah any less. Her mother’s killer was never found, and that unsolved murder left Harper with an obsession that drove her to become one of the best crime reporters in the state of Georgia. She spends her nights with the police, searching for criminals. Her latest investigation takes her to the scene of a homicide where the details are hauntingly familiar: a young girl being led from the scene by a detective, a female victim naked and stabbed multiple times in the kitchen, and no traces of any evidence pointing towards a suspect. Harper has seen all of this before in her own life. The similarities between the murder of Marie Whitney and her own mother’s death lead her to believe they’re both victims of the same killer. At last, she has the chance to find the murderer who’s eluded justice for fifteen years and make sure another little girl isn’t forever haunted by a senseless act of violence―even if it puts Harper in the killer’s cross-hairs. Book Review: ‘The Immortalists’ Is An Early Candidate For Book Of The Year And Asks One Question Would You Want To Know The Day You Will Die?